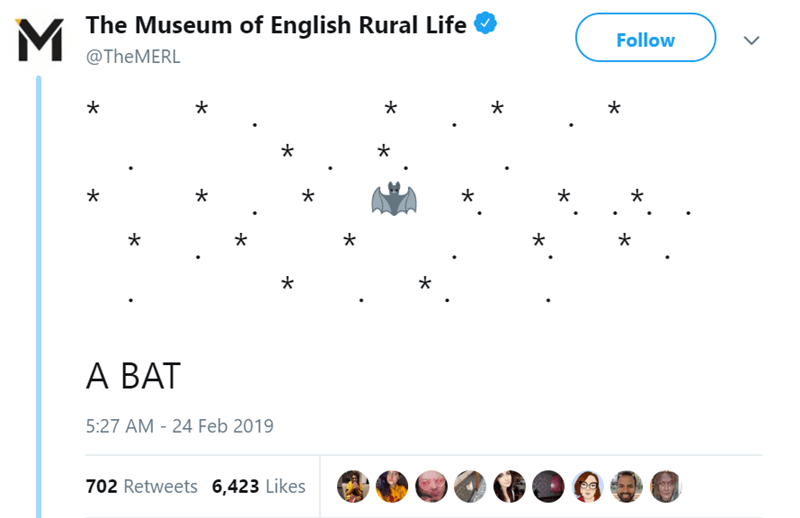 For all of you not familiar with MERL, It’s the “Museum of English Rural Life,” located in Readings, England where recently a cute little bat paid a surprise visit. 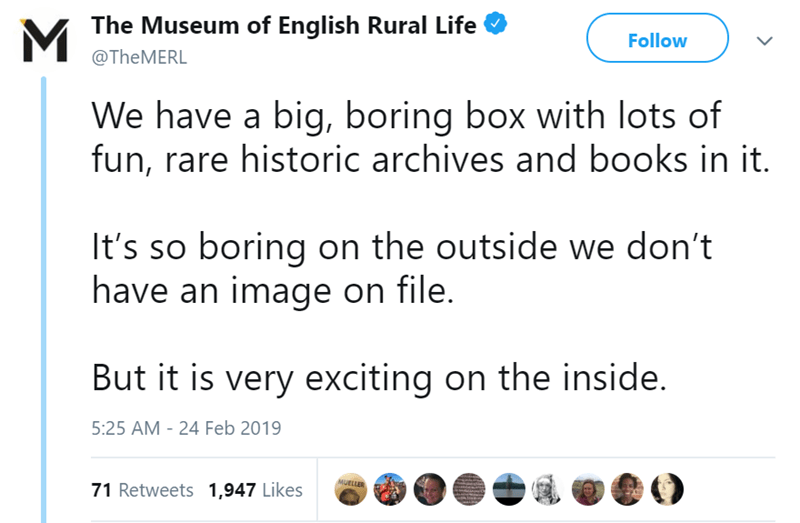 A couple of days back, MERL took to Twitter to update everyone on this new development. 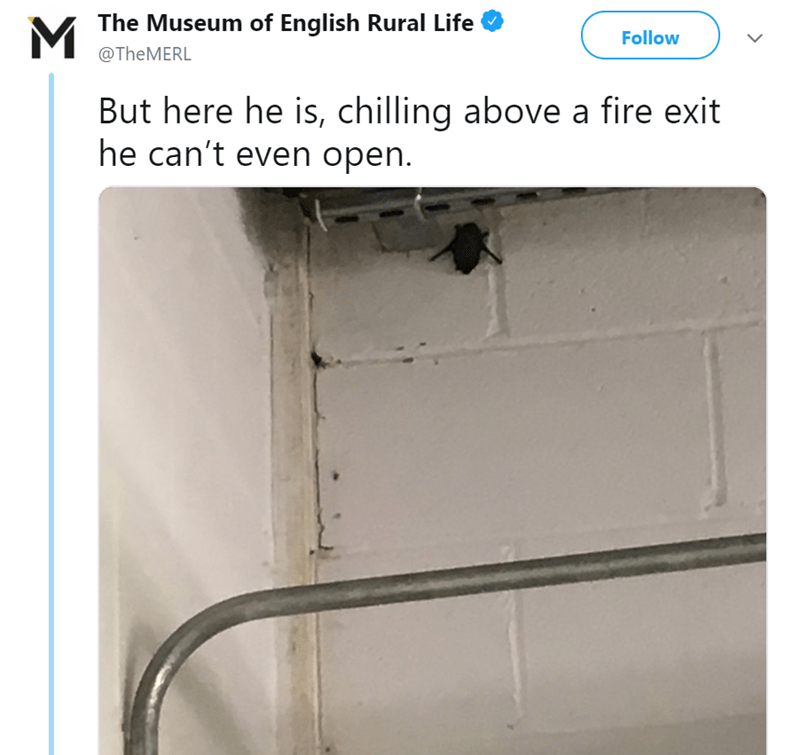 It was quite an unlikely visit; because seeing a little bat chilling in a corner isn’t the first thing you’d expect to see in a library on a regular day. 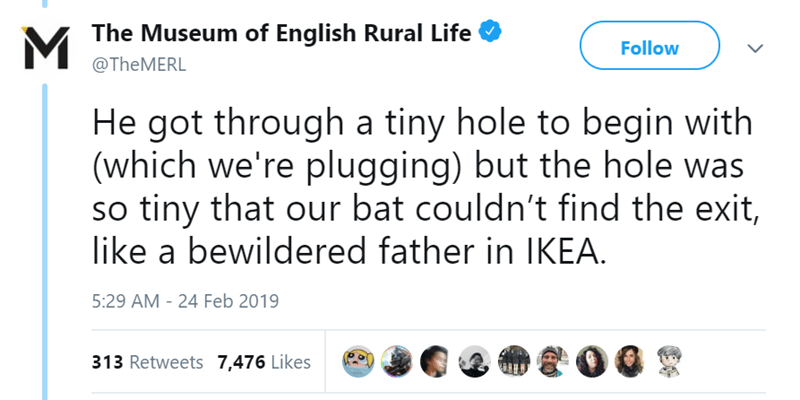 The bat entered through a tiny hole and ostensibly got stuck inside. 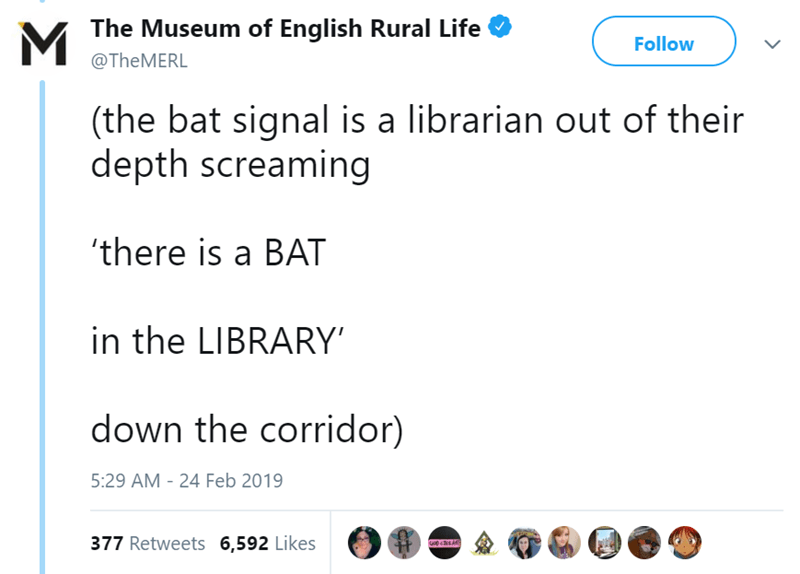 However, the bat was taken care of after the librarian spotted him. 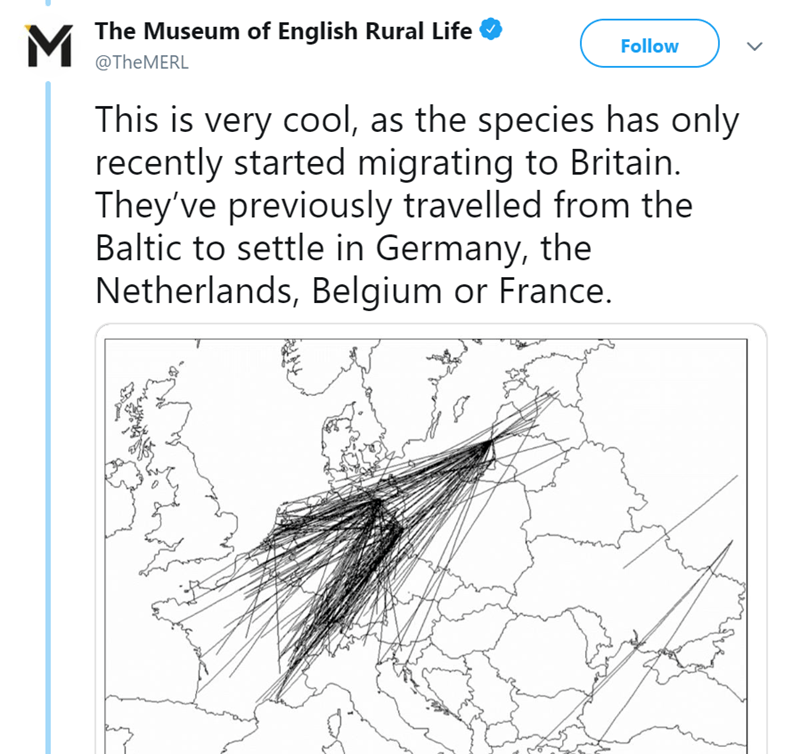 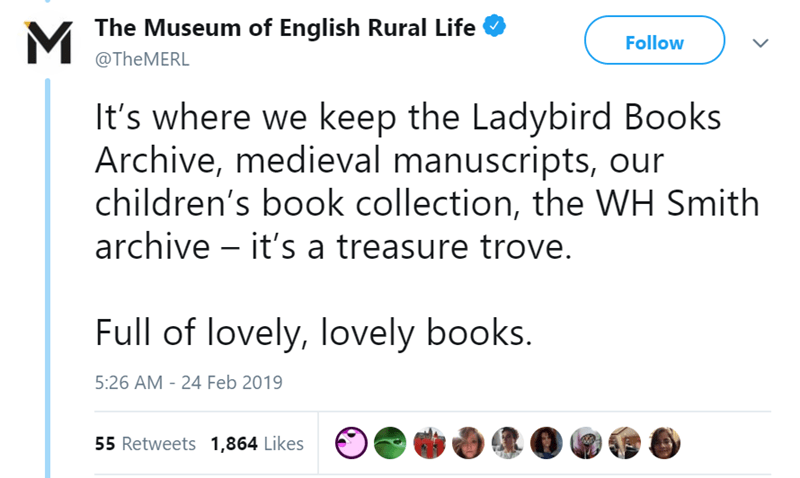 All of this is merely a general overview; the real fun lies in the humorous description of the whole encounter given by @TheMERL on Twitter itself. 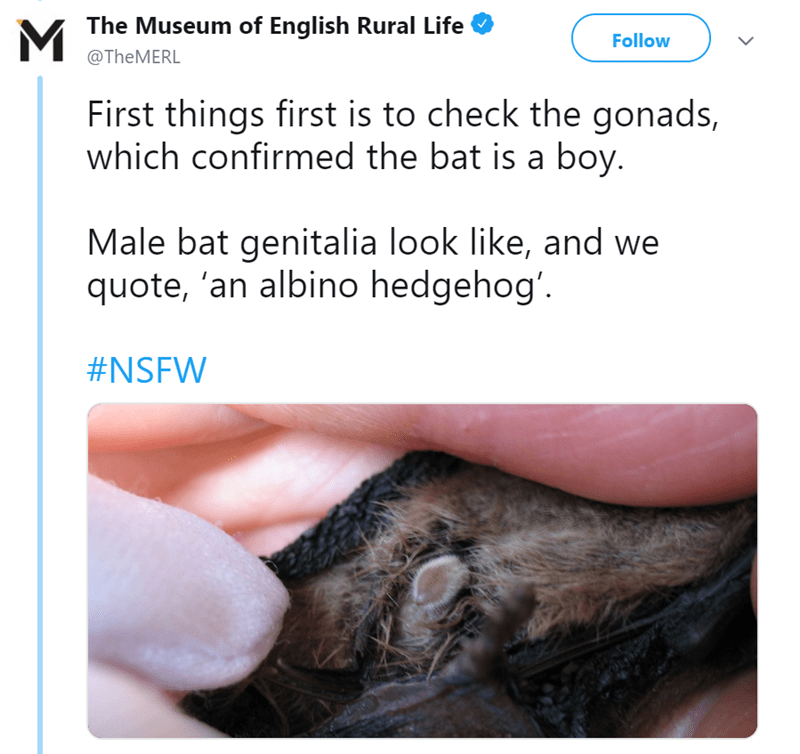 Scroll on below and read the details. 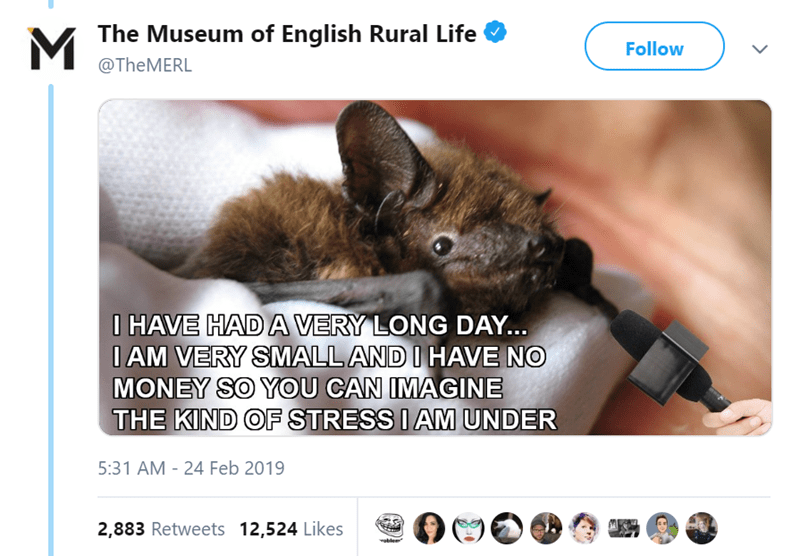 I don’t think there’s a better description than this one. 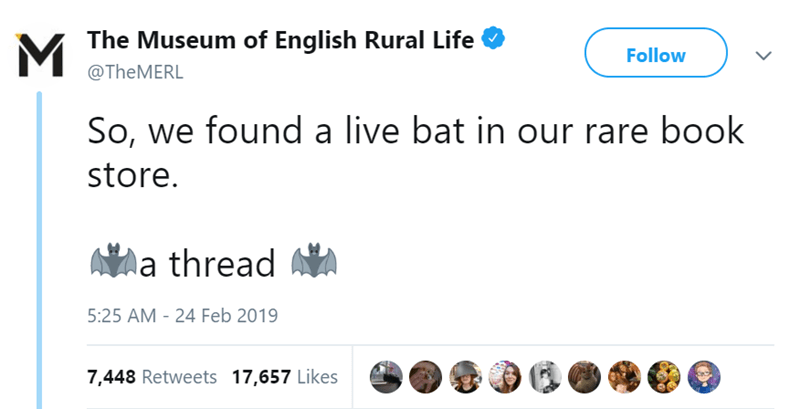 Here’s what the bat had to say in defence. 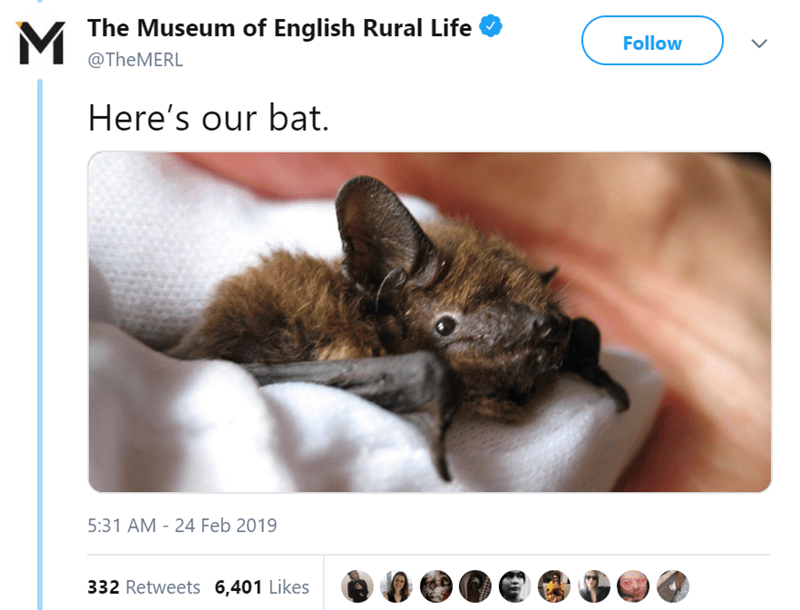 Right after discovering the bat, this is the first thing they do. 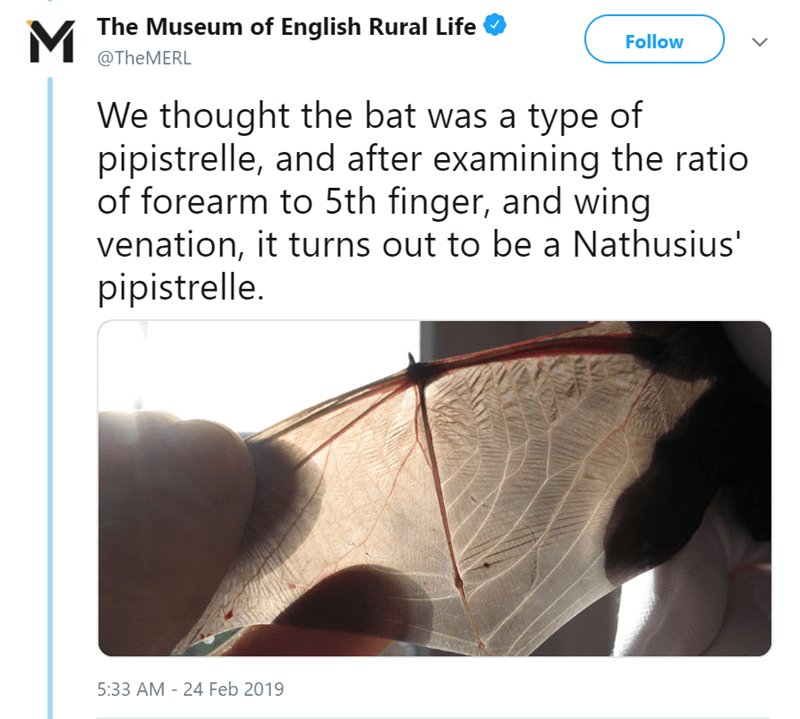 Nathusius’s pipistrelle is a rare bat that resembles a common Pipistrelle. 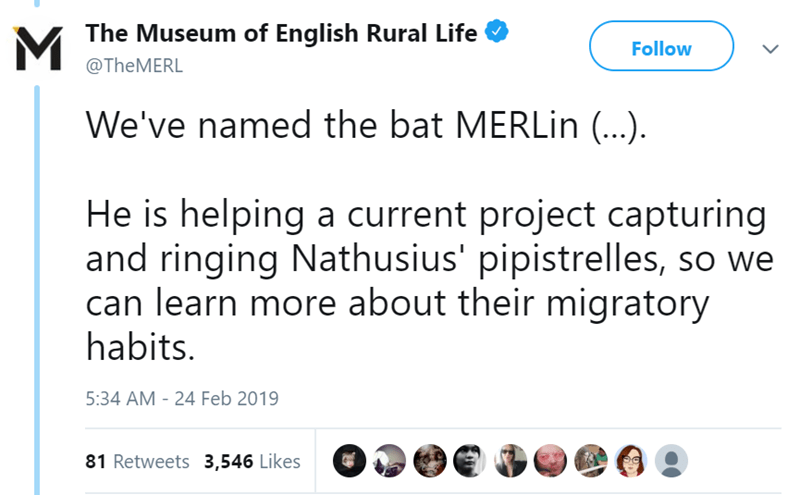 However, with its small size and broader wings, Nathusius is now frequently seen in parts of Europe. 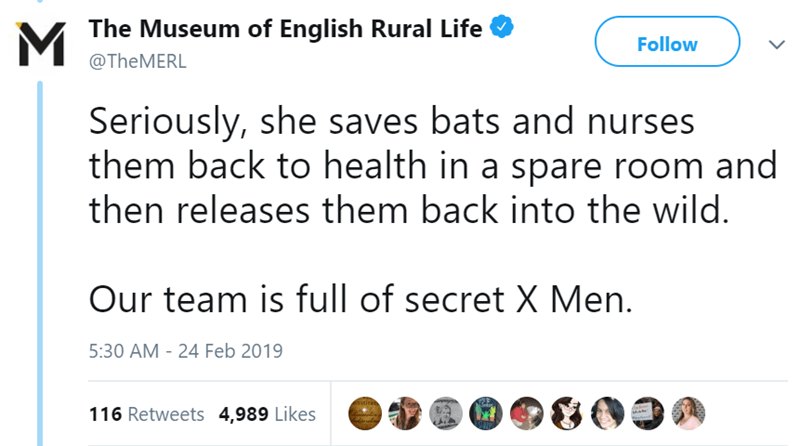 Well, that settles that. 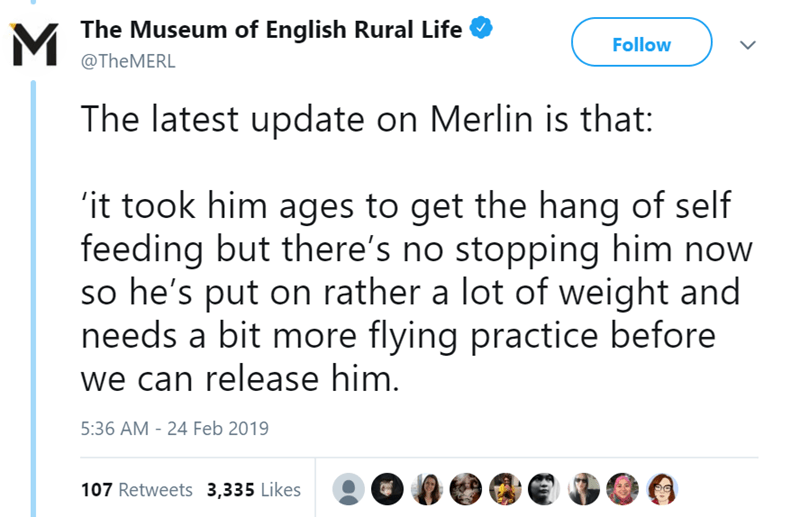 Let’s all be hopeful now that Merlin loses weight, starts flying again and safely returns wherever he came from!